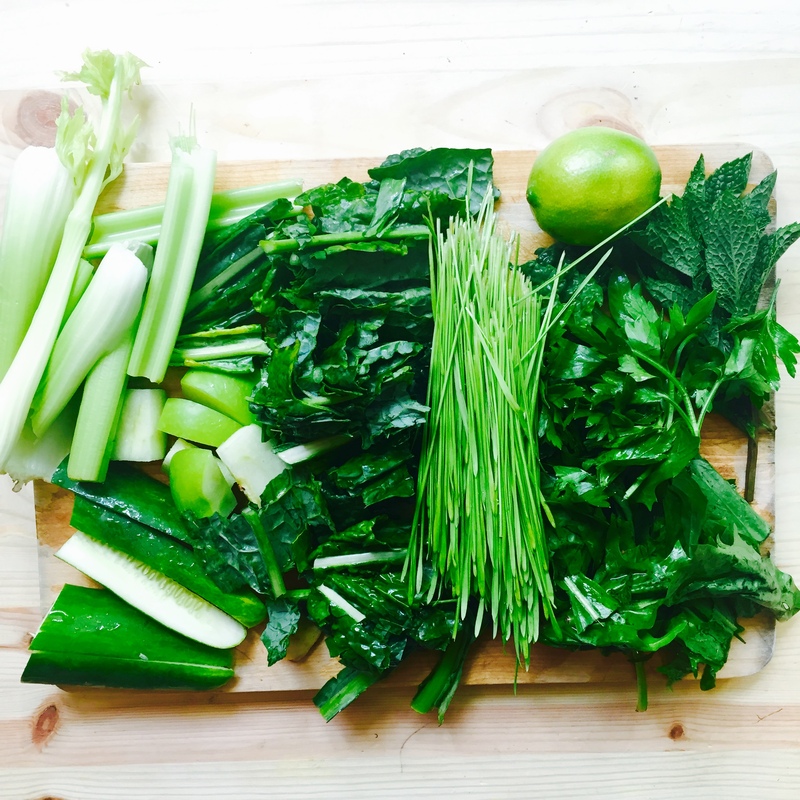 Chlorophyl will be pumping through your veins in no time when you take a sip of this delicious and alkaline juice. If you can, try to use all organic produce. Wash your produce thoroughly; and drink your juice soon after you make it, the goal is to consume it while it is as fresh as possible. Juice your produce according to your juicer’s manufacturer’s instructions. I have a cold-press juicer and I find it is best to chop everything up fairly small, and to mix up the order that you juice the produce in. 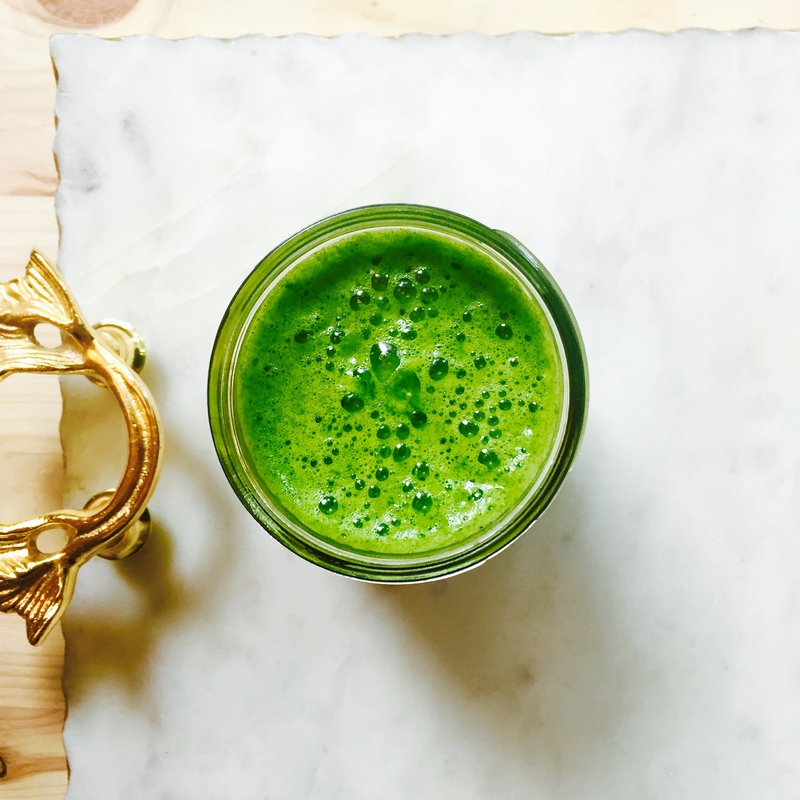 For example, don’t juice all of the kale, then all of the celery, then all of the parsley…juice a little bit of each and make sure to mix it up, this ensures a great flavor. Enjoy with ice or without! What s vibrant colour, very inviting.